QED were pleased to work with the Department of Planning, Lands & Heritage at this iconic WA tourist attraction. In December 2017, a new Australian Standard was published for management of lead paint in buildings. 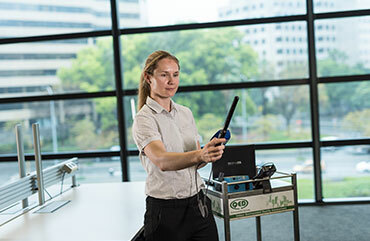 QED expand into the East Coast market after completing the purchase of Air Quality Audits. This post looks at how NABERS Indoor Environment compares to energy ratings for a building. At AIRAH’s 2017 Future of HVAC conference QED Director, Joe Scholz, made a presentation to the industry professionals about the impact they can have on the wellbeing of building occupants and the ratings that buildings are awarded for indoor environment and wellness.